A workflow is, essentially, a series of repeatable steps needed to take to achieve some sort of business goal. Without the right software, however, workflows are nowhere near as effective as they can be. Digital workflow software super-charges your workflows, increasing efficiency & allowing for automation. What is Digital Workflow Software, Exactly? Digital workflow software is the most efficient way to manage and track your workflows. It allows you to keep track of your workflows (deadlines, progress, etc.) as well as measure their efficiency. It’s useful for all sorts of things, from sending onboarding new employees to collecting data. It also ensures consistency – you get to define each step in the process, and your employees have next to no way of messing it up. Digital workflow software is the best way to eliminate guesswork from your business and create seamless processes that all of your employees can follow. 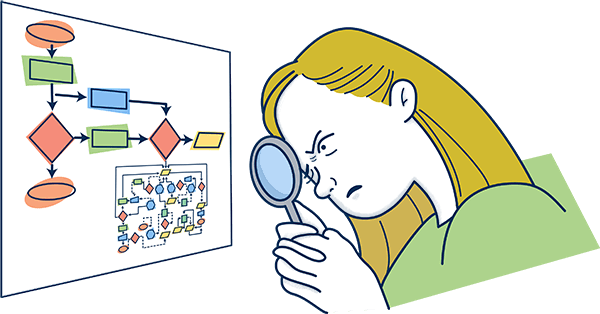 If you’re new to process management software, you might still be a bit confused on what it’s all about. Check out our guide to workflow applications to learn more about the software. In most cases, you won’t have someone with a Ph.D. in computer science designing the workflow. Rather, it’s probably someone in the middle management – someone with no coding knowledge whatsoever. The digital workflow software should have a simple enough form designer that can be used by a first-time user without any training, onboarding, or expensive outside process consultants. It should, however, also have complex capabilities, allowing for a high degree of customization with the form. Today, unless you’re using a cloud-based appl, you really are wasting resources. The other is to actually have the software installed on your servers, and that can be extremely time-consuming. This is usually the case with legacy business process management software (something like a predecessor to workflow management); it takes a team of skilled IT and a lot of time to set it up for your business. And to make things worse, whenever there’s any kind of issues with the software, you’ll have to call back the IT guys and hope they can fix it in time and on budget. With the cloud, however, all you have to do is go online, register, and set it up. This makes the process significantly cheaper since all you have to do is pay the monthly software fees. Depending on the process, there’s can be a varying degree of urgency. One workflow might need a simple approval within the duration of a week, while the other might need an urgent meeting set up ASAP. The right digital workflow software will allow for different types of notifications (email, phone, etc. ), as well as the ability to prioritize different steps. Think, if the step is “urgent,” you’ll get a ringing notification on your phone as opposed to a passive email. One of the most important reasons you’d adopt digital workflow software is because of its process improvement capabilities. To do this properly, however, you’d need to track and analyze the KPIs for your processes. Any workflow software should have a single dashboard that gives you insight into how well each of your processes is doing, as well as spotting any missed deadlines or bottlenecks. With older software, you’d need an IT army to figure out how to one piece of software to another. This tends to make automation extremely complicated and expensive. Which is a bit ironic, since workflows are rarely limited to working with just one system. To be able to get the maximum out of workflow automation, you’d need to connect your digital workflow software to all the other tools you use. Thankfully, the right software allows for seamless integration with other SaaS apps, allowing for limitless automation capabilities. Want to get started with digital workflow software, but overwhelmed with the number of tools on the market? Check out our comparison of some of the best workflow management systems. What’s YOUR favorite workflow app? Is there any must-have feature we might have missed? Do let us know down in the comments! Definition – What is Digital Process Automation?